In their march towards exascale performance, HPC systems are becoming increasingly more heterogeneous in an effort to keep power consumption at bay. Exploiting accelerators such as GPUs and MICs together with traditional processors to their fullest requires heterogeneous HPC systems to employ intelligent job dispatchers that go beyond the capabilities of those that have been developed for homogeneous systems. In this paper, we propose three new heterogeneity-aware resource allocation algorithms suitable for building job dispatchers for any HPC system. We use real workload traces extracted from the Eurora HPC system to analyze the performance of our allocators when they are coupled with different schedulers. Our experimental results show that significant improvements can be obtained in job response times and system throughput over solutions developed for homogeneous systems. 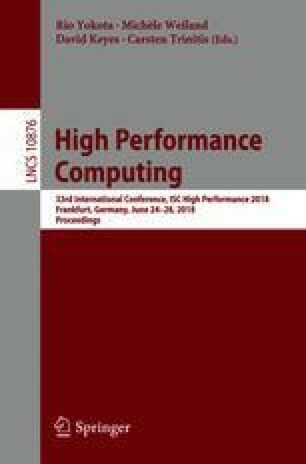 Our study also helps to characterize the operating conditions in which heterogeneity-aware resource allocation becomes crucial for heterogeneous HPC systems. We thank Dr. A. Bartolini, Prof. L. Benini, Prof. M. Milano, Dr. M. Lombardi and the SCAI group at Cineca for providing access to the Eurora data. We also thank the IT Center of the University of Pisa (Centro Interdipartimentale di Servizi e Ricerca) for providing access to computing resources for simulations. A. Netti has been supported by a research fellowship from the Oprecomp-Open Transprecision Computing project. C. Galleguillos has been supported by Postgraduate Grant PUCV 2017. A. Sîrbu has been partially funded by the EU project SoBigData Research Infrastructure—Big Data and Social Mining Ecosystem (grant agreement 654024).